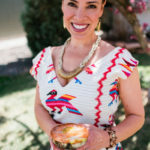 Yvette Marquez-Sharpnack is the blogger, YouTuber, and recipe developer behind muybuenocookbook.com. 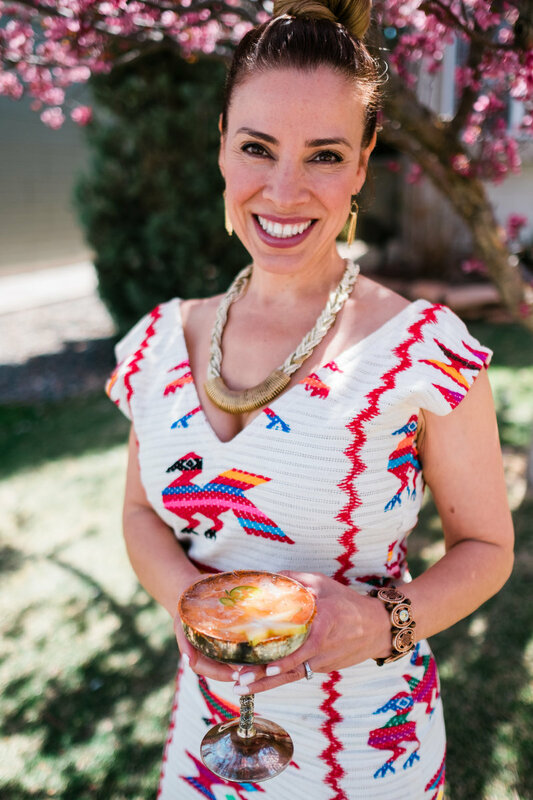 She is the co-author of Muy Bueno: Three Generations of Authentic Mexican Flavor and Latin Twist: Traditional & Modern Cocktails. 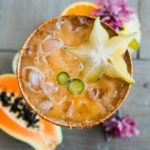 This exotic tropical papaya margarita is cool, refreshing, and loaded with citrus juices. The jalapeño slices give a slight zing. 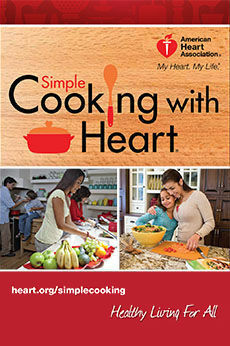 The rim is sweet with honey and tangy and spicy with a salty, chile powder-rim. Rub honey around the rim of glasses. Pour some Tajin out onto a plate, and rub the rim of the glasses in the powder to coat. 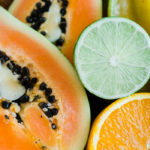 Scrape papaya flesh into a blender and add fresh orange and lime juice. Add honey and tequila and purée until smooth. 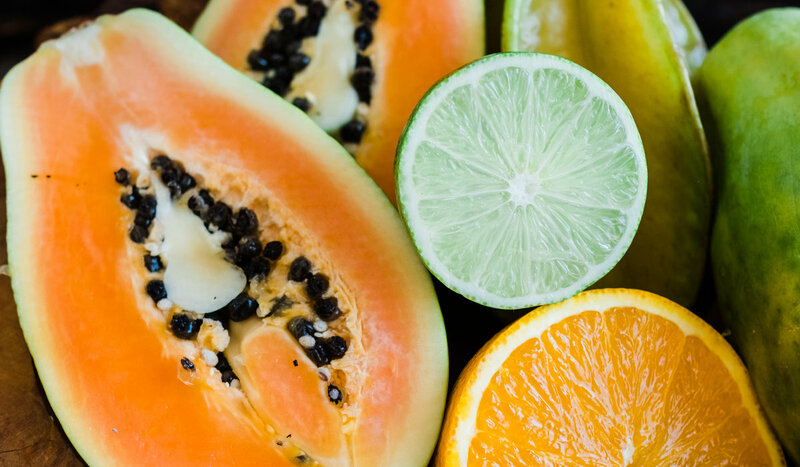 In a shaker add crushed ice, papaya puree, and shake to mix. Strain drink into rimmed glasses filled with crushed ice. 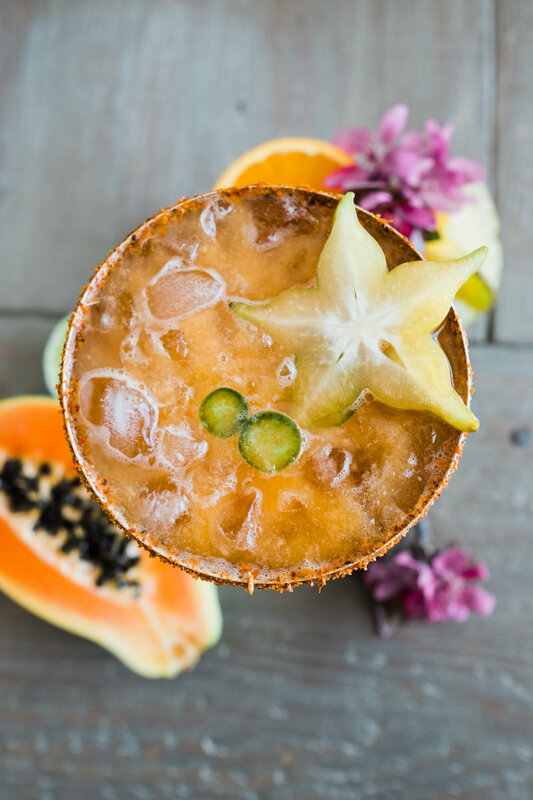 Garnish with jalapeño slices and star fruit (if using).